Now also available for your iPad: Kunststoffe international – the English edition of the well-established German magazine Kunststoffe. It presents the latest trends in plastics technology. Kunststoffe international also provides an extensive overview on plastics materials, processing, products and markets. The magazine contains exclusive articles written by leading plastics specialists as well as professionally acquired and objectively presented surveys on current topics in the field of plastics. 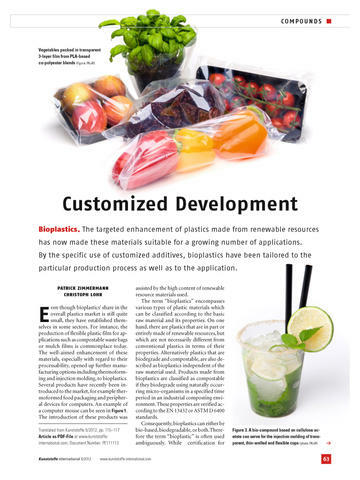 Exclusive insider reports form the profile of the magazine as a trend-setting information carrier for the increasingly global performing plastics processors. 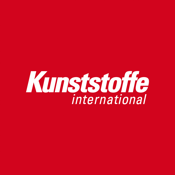 Kunststoffe international is published monthly by Carl Hanser Verlag – the number one worldwide for literature on plastics. The online presence Kunststoffe-international.com provides extensive offers in English for decision makers in the plastics industry. Here you will find news and dates as well as the latest technical information from Kunststoffe international and the well-known Hanser technical book division. The web site addresses technical and management-level personnel in the plastics processing industry, scientists and students as well as anyone else dealing with plastics materials in production or the supply of services. The Business Directory with over 4,000 companies from the fields of materials, machinery, equipment, processing and semi-finished as well as ready-to-use products offers unique and easy-to-use search possibilities. The online archive of Kunststoffe international, an extensive patent database and an online bookshop complete the wide range of products being offered. The Digital Edition PC, MAC, tablets and smart phones is also available at www.kunststoffe-international.com. A single issue for € 9,90 (non-subscription). One-year subscription for € 99,99, automatically renewed until canceled. You can save money off the cover price by choosing to subscribe. By subscribing you’ll never miss an issue and the new edition will automatically download to your Apple device as soon as they are released. The subscription will include the current issue if you do not already own it and subsequently published future issues. Payment of all purchases will be charged to your iTunes account at the confirmation of your purchase. This subscription will automatically renew unless auto-renew is turned off at least 24-hours before the end of the current period, your account will be changed for renewal within 24-hours prior to the end of the current period.